Finding manufacturers’ coupons to use at the commissary can be a hassle in the busy lives of military families. 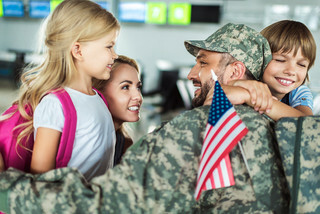 That’s why MyMilitarySavings.com is proud to offer discounts and coupons for hundreds of top name brand companies in one easy-to-use website that allows military families to get the most out of their shopping experiences. We also have helpful savings information and links for the Defense Commissary Agency (DeCA) so that military shoppers can enjoy a simple hub for all of their savings options. When you sign up for a free membership at MyMilitarySavings.com, you’ll have access to all of the best up-to-date deals and commissary coupons to make your shopping trip as easy as possible. The deals you’ll be able to access include offers from top brands like: Kellogg’s, Johnson & Johnson, Kraft Heinz, Nabisco, Smucker’s, BIC, Hershey, General Mills, Nestle USA, Del Monte, Brown-Forman, and more. On our site, in addition to commissary coupons, you’ll also be able to find digital downloads of current editions of the Price Connexion and Coupon Connexion flyers so that you can plan your shopping trip before you ever leave your house. And, with our “My Shopping List” tool, you can save a list of everything you need and print it out or take it with you on your smartphone. If you’re ready to start saving with commissary coupons and deals for products from top manufacturers, enroll for your free membership with MyMilitarySavings.com today.